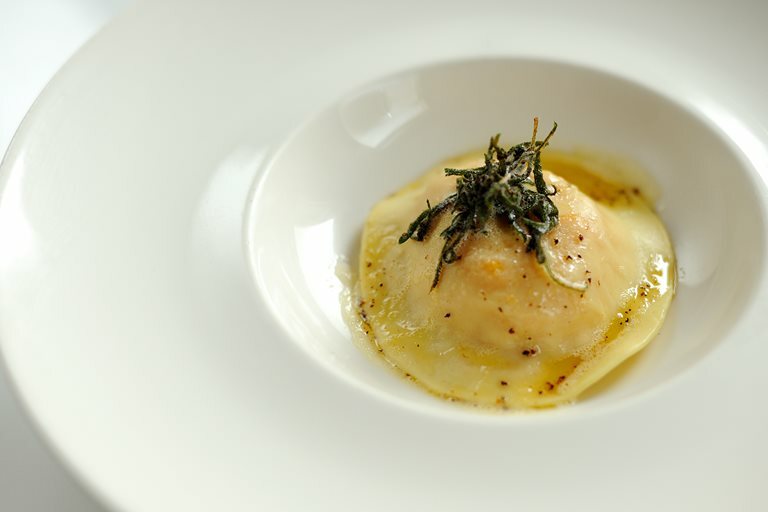 In this gorgeous ravioli recipe from Andrew Mckenzie, the pasta parcels are filled with a sweet butternut squash centre, resulting in a gorgeous vegetarian recipe. The sauce used to dress the ravioli is simply prepared with butter and chopped sage, but the pasta dough and ravioli filling do require some preparation ahead of time. The result is well worth it.